I spoke with the veteran emcee and beatmaker about the state of modern day hip hop, and asked him about the differences between the genre now and when he was a teenager. Back in his youth, people were generally part of one subculture or another: jocks, punks, skaters, goths, hip hop heads, thugs, etc. Now though, genre lines have blurred and become less defined, and the youth of today are mashing up elements of all of those genres in ways that old school purists never would have. In addition to the social risk, he says that belonging to a subculture also took commitment. Better known as Tahaj the First, Edwards’ birth name, Tahajiye, is Swahili. When he was young, his teachers couldn’t pronounce his name, so he eventually shortened it to just Tahaj. He added “The First” because he is the first and only Tahajiye that he is aware of. Tahaj in his studio working with software. Edwards, who will turn 40 next week, grew up in Santa Cruz, and discovered hip hop as early as fourth grade. “It was for me the oratory aspects of it,” Edwards says of what first attracted him to hip hop. Within a year, he was able to recite entire verses of other rappers’ songs. By high school, he had his own rhymes and his own crew, and their first gig was opening up for Pete Rock and CL Smooth at the Crash Palace in San Francisco. After a decade as an emcee, he started making his own beats when his producer friends had progressed to the point where they were charging prices that he could no longer afford. 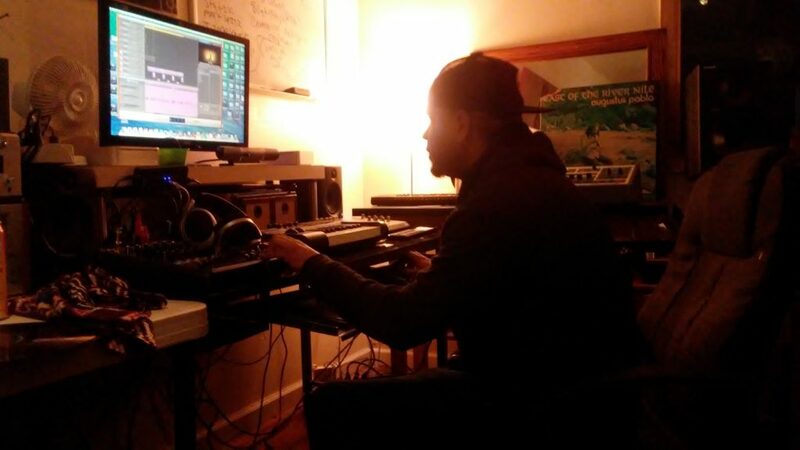 In 2006, while mentoring youth at a hip hop-themed summer camp in the Bayview Hunter’s Point neighborhood of San Francisco, he learned how to use computer software for music production, and officially made the leap from emcee to producer. After the birth of his nine year-old daughter, Lulah, Edwards founded Drum Dealer Records, a record label, recording studio, and artist development agency. While many rappers say that having a daughter made them stop using the B word, Edwards says that “wasn’t really my thing before she was born.” He does admit that he is more conscious of misogyny and male chauvinism now though, and has zero tolerance for it in the music he makes and consumes. Of his signature sound as a producer, Edwards says that he likes to make music that is lush, sweet, and has musicality to it. A vinyl collector who has long preferred his “parents’ music” to contemporary music other than hip hop, he still uses vintage sampling machines and drum machines from the ’80s and ’90s. His core sound though is built around his collection of vintage keyboards from the ’70s and ’80s, which are usually played by Stephen Vereen. In an era where most producers think a keyboard is a computer accessory and that vintage sounds come from software packages, Edwards keeps it old school. Quick to admit that he isn’t a DJ, Edwards has noticed how technology has changed DJ-ing as well. Whereas DJs used to lug heavy crates of records around, now they can just show up with a laptop full of audio files. In addition, audiences don’t come to clubs hoping to discover new music from DJs anymore, as they now discover music on their own, thanks to the internet. As a result, more people come to clubs demanding to hear their favorite songs. 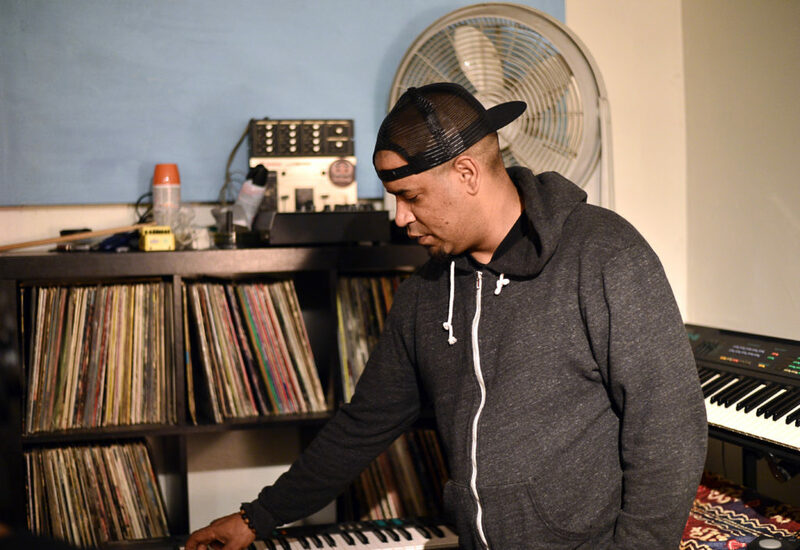 Edwards’ Drum Dealer label has several releases scheduled in the coming months, and he himself has a solo rap album and a collaboration album with Otayo Dubb currently in the works. Extremely talented brother. Very proud to call him my cousin!